Muricata, the Youth enrichment arm of Wild Guanabana has been a driving force in bringing fitness, adventure and fun to children of Egypt. And it’s bringing to you the first Great Cairo Kidathon. 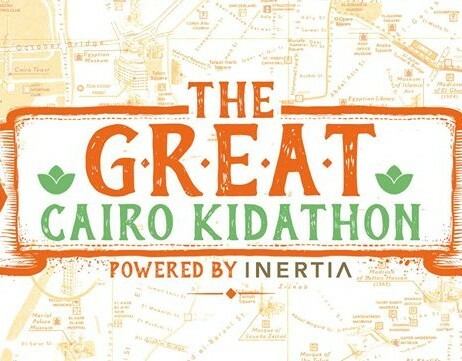 The Great Cairo Kidathon is taking place in Zamalek and over 300 kids between the ages of 6 and 14 are expected to attend a whole long day of fun and activities. Kidathon will feature three different mini-marathons; children between 6 and 8 years will take on a 2km run, as will kids between 8 and 11 years, while those falling between 12 and 14 years will take part in a 4km run. Following El Sawy Culture Wheel route, the day will be followed by a special ceremony that will see 18 winners receive different prizes and all runners receiving t-shirts and medals. After the runs, a whole host of other activities await, including family yoga, arts & crafts classes and adventure games, ending the day with an exclusive concert by Cairokee. In addition to the fun part, all participating children are asked to donate a toy through Marwa Fayed Toy Run, which will then be donated to Abu El Reesh Hospital. More Cairo Kidathons are yet to come, so stay tuned for lots of fun!